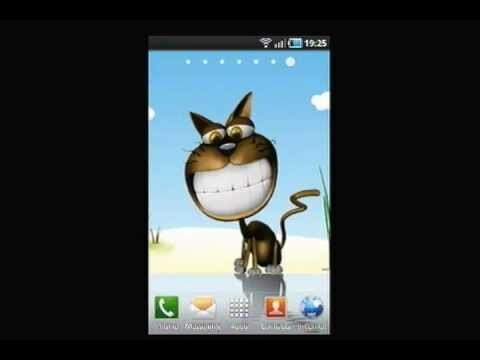 The Funny Cat Live Wallpaper is perfect for when you need a little spot of lightheartedness in your day. A cartoon cat with a huge grin chuckles as his tail twitches, clouds fly by overhead, and the water in front of him ripples. A little cheeky, a little surreal, and a little color that can add brightness to your Android device. Adjust the animation rate to suit your phone and needs.